Happy Hump Day! And Happy Thanksgiving a day early to all my fellow Americans. 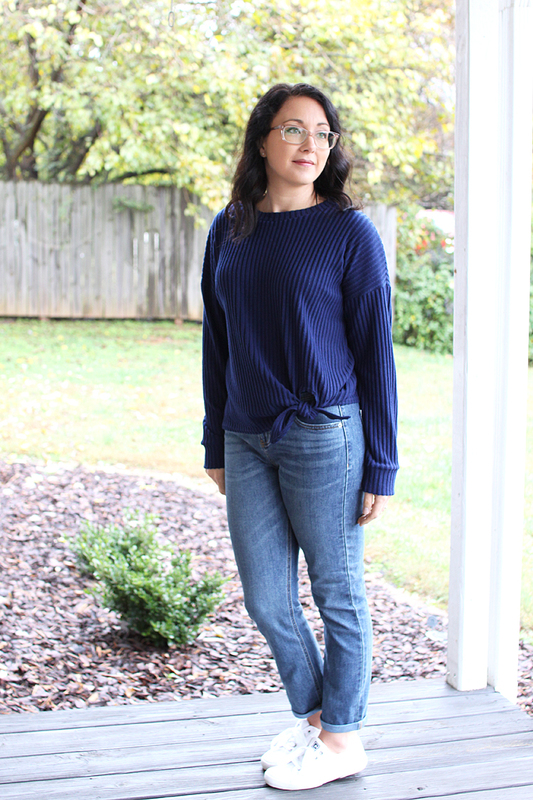 I had the privilege of previewing Megan Nielsen's newest pattern collection a month or so ago, and I sewed the Dawn Jeans (see post HERE), and the Jarrah Sweater. 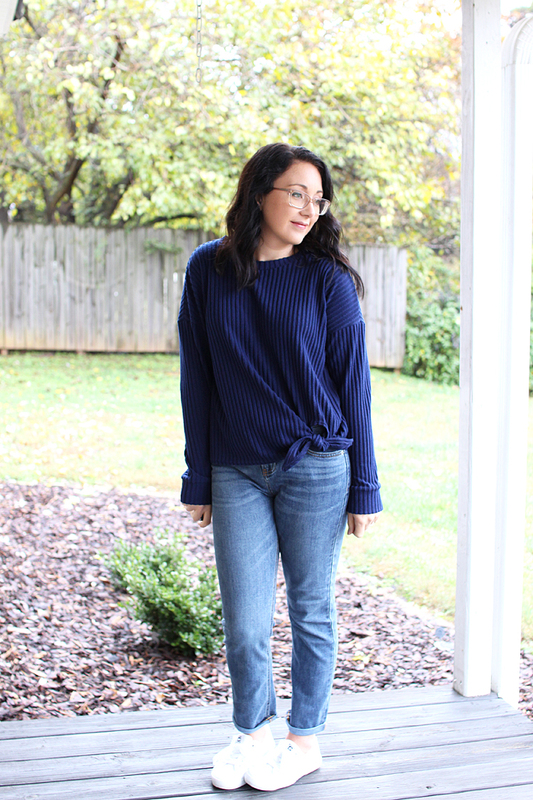 I INSTANTLY fell in love with the Jarrah Sweater, the moment I saw it. The pattern cover has this view on it and I am an absolute sucker for a tie front! 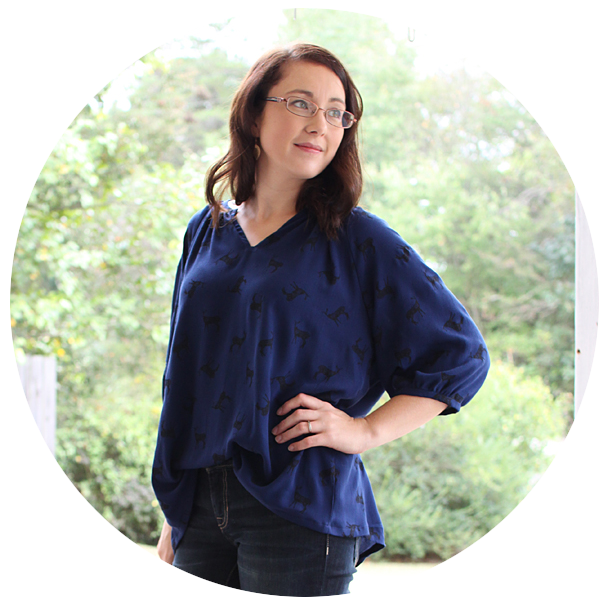 But the great thing about this pattern is that it includes a whopping four hem options! It also includes 2 sleeve, and 2 neckline options. The possibilities are endless to the combo of cozy sweaters and sweatshirts you could make with this pattern. I directly copied the view on the pattern cover, which is a straight View C. The beauty of this pattern however, is that you can mix and match the components of each view, creating more than just the 4 options shown. View C is ever so slightly cropped, so if you're taller, you may want to keep in mind that it works best with high waisted bottoms. 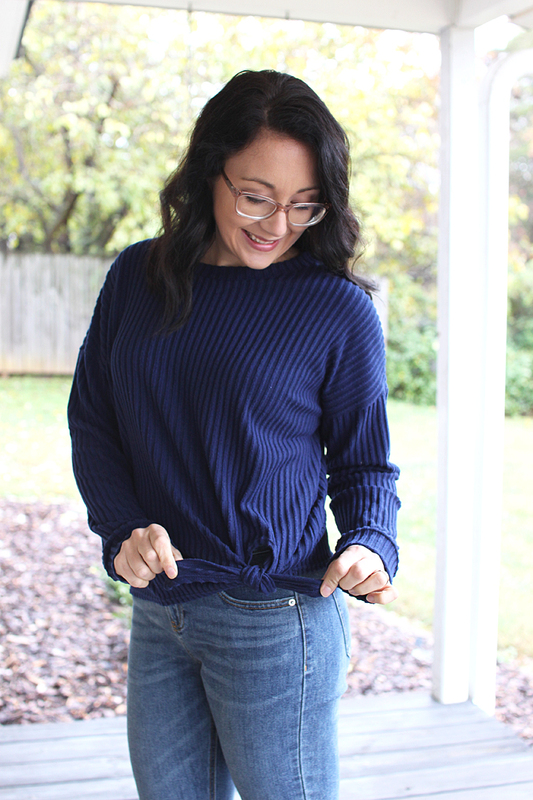 During the colder months, I like to wear a tank under my sweaters, and with this one, the tank needs to be tucked into my jeans to stay hidden. Not a problem for me at all, just a detail to keep in mine! 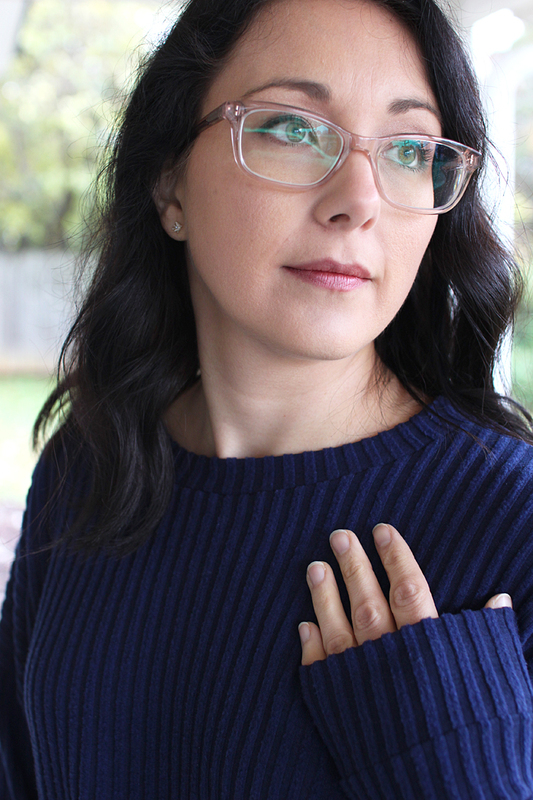 I used a dreamy soft sweater knit from Joann for this sweater. It's a Poly/Rayon/Spandex blend with a brushed wide rib on the right side. It's so soft and cozy, and the drape is really lovely which was perfect for this view of the pattern. I linked it HERE. 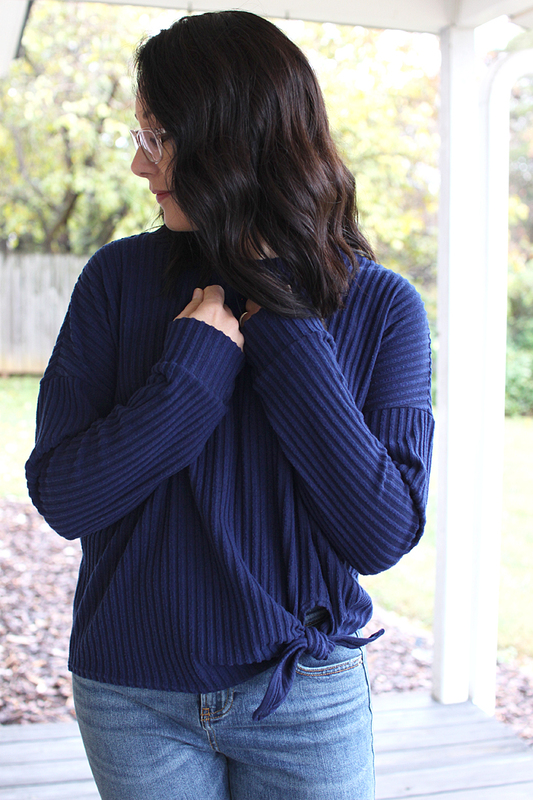 Another feature that I absolutely love about the Jarrah is the drop shoulder. 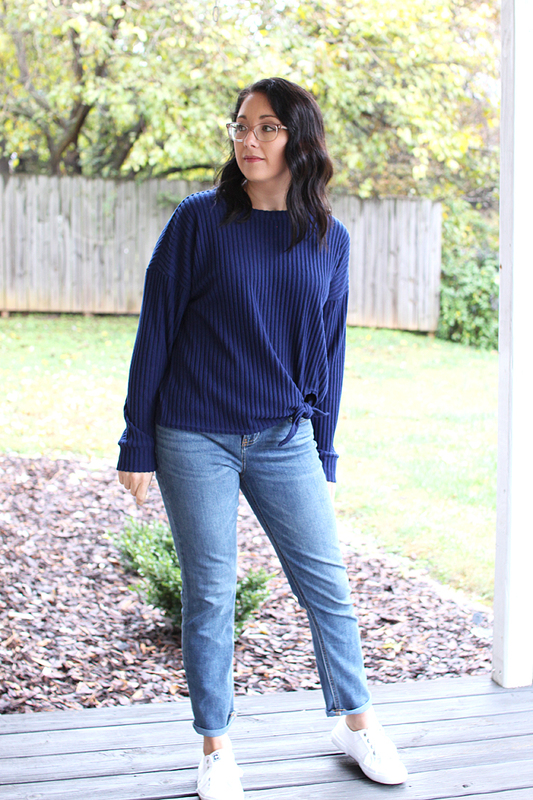 I'm totally into this style at the moment, and I love how comfy it is to wear. Plus it's really easy to sew too! 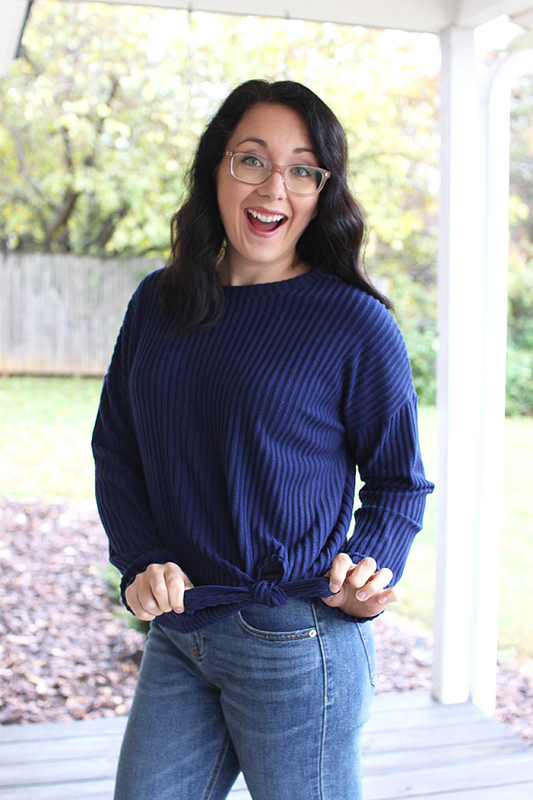 Have I convinced you yet that this is the perfect comfy, cozy pattern?? I love that in the right fabric it's cozy yet still stylish and feels put together.